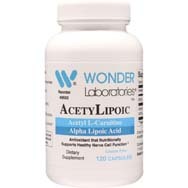 But alpha lipoic acid (ALA) doesn’t stop there; as an antioxidant, it also seeks out and neutralizes free radicals, which are potentially harmful chemicals, per verywellhealth.com. Sure, there are many antioxidants (nutrients that counteract the natural deterioration of cells, per globalhealingcenter.com) at work inside our bodies, so what sets ALA part from the crowd? That’s easy; it can operate in both water and fat (that is to say, it’s both fat-soluble and water-soluble). There is also some evidence that it can recycle other antioxidants such as vitamin C and glutathione once those compounds have been exhausted. 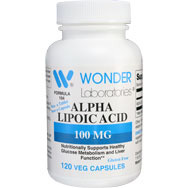 A quick note to add here: ALA is also the abbreviation for alpha linoleic acid, which is an omega fatty acid. Not the same thing. As long as your body is well cared for and properly fueled with a healthy diet (your sole responsibility, btw), it will normally produce all the ALA it needs on its own. Food sources that are known for their provision of ALA include spinach, broccoli, potatoes, and organ meats (animal tissue from liver, kidneys, and heart), although the ALA that comes from consumed food apparently provides only a trace increase of the free ALA level in your body, per webmd.com. Other food sources, per verywellhealth.com, include peas, Brewer’s yeast, Brussels sprouts, and rice bran. A better boost of ALA can come from nutritional ALA supplements, with studies showing that about 30 to 40 percent of such a supplement in oral form actually gets absorbed, with such absorption presumably enhanced when taken on an empty stomach. Next, let’s take a closer look at the health benefits that adding an ALA supplement to your daily diet – preferably under a doctor’s guidance and supervision – can have for you. The 35,000-foot view shows that it can enhance healthy aging, heart health, organ function, and support the health of your brain and nervous system. It’s an antioxidant. OK, we touched on that earlier, but in addition to that, its antioxidant properties support liver health as well as the well-being of your cardiovascular and nervous systems and brain and skin. It can even help in the recovery of your muscles after a really hard workout, per globalhealingcenter.com. Diabetes. 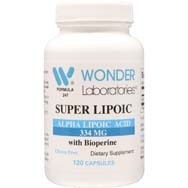 Among the benefits ALA can provide type 2 diabetes patients is, as some studies have shown per webmd.com, is that ALA supplements have the potential to improve your body’s ability to lower blood sugar through the use of its own insulin. It also might help alleviate the symptoms of diabetic nerve damage associated with peripheral neuropathy. 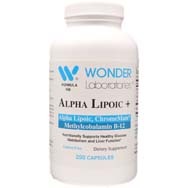 Per verywellhealth.com, anyone taking prescription diabetes medications such as metformin or glyburide are advised to use alpha lipoic acid only under the supervision of a qualified health professional. Yes, the suggestion for a doctor’s guidance with ALA use is worth a second mention, for diabetics. Mental health. Or, more specifically, brain health. As verywellhealth.com puts it, ALA can pass through the blood-brain barrier, which consists of tiny vessels and structural cells, to access the brain. Once there, it can reportedly help guard brain and nerve tissue by thwarting free radical damage, increasing the chances of a sharper memory, among other cognitive benefits. Nerve health. Research, as referenced at globalhealingcenter.com, seems to indicate that the oxidative stress-relieving characteristics of ALA might be able to enhance the normal health of the nervous system. That’s especially true in the peripheral nervous system, which includes the legs and feet, where, when the peripheral nerves are unhealthy, can inhibit a person’s balance. Symptoms of unhealthy nerves can include tingling or numbness, and such a condition can even affect a person’s ability to grab and hold objects. Other possible benefits. ALA has a wide assortment of possible health benefits besides those mentioned above. These include chipping in to help regulate normal thyroid hormone levels, promoting healthy cardiovascular function, maintaining proper liver function, inhibiting weight gain when eating a high-fat diet, promoting healthy skin, and helping to protect against aging issues linked to oxidative stress.